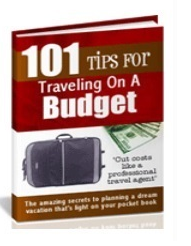 Looking for for perfect 10 luxury hotels near to Gilbert Arizona? On this article we have now named them using user evaluations. This straightforward hotel is 6.3 miles from the Arizona Railway Museum and 7.2 miles from the Chandler Center for the Arts. Simple rooms come with free Wi-Fi, 42-inch flat-screen TVs and separate living/work areas, as well as minifridges and coffeemakers. Complimentary amenities include parking and a local shuttle. Breakfast is available. There’s also an outdoor pool and a 24/7 gym, plus a 24/7 market cafe and a coffee/cocktail bar. On Banner MD Anderson Cancer Center’s campus, this modern all-suite hotel is a 5.9-mile drive from the Arizona Wing of the Commemorative Air Force. Casual studios to 2-bedroom suites offer free WiFi, fully equipped kitchens, desks and pull-out sofas, along with iPod docks and flat-screen TVs. Suites add separate living areas. Freebies include hot breakfast, weekday evening socials and parking. There’s also a grocery delivery service, a convenience store, BBQ/picnic areas and a patio with a fire pit, as well as an outdoor pool, a hot tub and a gym. Other amenities include a business center, 2 meeting rooms and laundry facilities for a fee. This straightforward hotel is 0.9 miles from Chandler Center for the Arts and 7.1 miles from the Arizona Museum of Natural History. Subdued rooms and suites come with free WiFi, 37-inch flat-screens and coffeemakers. Upgraded rooms add microwaves, minifridges and sofas; some suites feature whirlpool tubs. Kids 12 and under stay free. Cooked breakfast and parking are complimentary. Amenities also include a seasonal outdoor pool, a hot tub and a business center. Adjacent to Banner Gateway Medical Center, this casual hotel is 8 miles from Phoenix-Mesa Gateway Airport and 3 miles from Superstition Springs Mall. The down-to-earth rooms have free Wi-Fi and flat-screen TVs, as well as minifridges, microwaves and coffeemakers. Upgraded rooms and suites add pull-out sofas; suites also offer wet bars. Complimentary perks consist of parking, a local shuttle, and a hot breakfast buffet served in an informal breakfast area. There’s a heated outdoor pool, a hot tub and a 24-hour gym. Other amenities include a 24/7 convenience store, coin-operated laundry facilities, and a patio with a fire pit. Adjacent to San Marcos Golf Course, this polished golf resort is a 9-minute walk from the Chandler Center for the Arts and 6 miles from the Golfland SunSplash amusement and water park. Plush, modern rooms come with free Wi-Fi, flat-screen TVs and desks. Upgraded rooms have private balconies and pull-out sofas, while suites add wet bars, dining tables and/or separate living areas. There’s a casual restaurant with a terrace, as well as a cafe/bar. Other amenities include free parking, an outdoor pool and a gym, plus picturesque gardens and tennis courts. There’s also a business center and 16 meeting rooms. A 9.5-mile drive from the Golfland-Sunplash water park and amusement center, this straightforward hotel is 1.1 miles from the Superstition Springs Golf Club. It’s also a 2-minute walk from the Superstition Springs Center shopping mall. Rooms and suites feature exterior corridors and simple decor. They have free WiFi, TVs and desks, as well as minifridges, microwaves and coffeemakers. Upgraded rooms offer sofas and extra living spaces. Perks include free continental breakfast and on-site parking. There’s a heated outdoor pool, a hot tub, an exercise room and a business center. 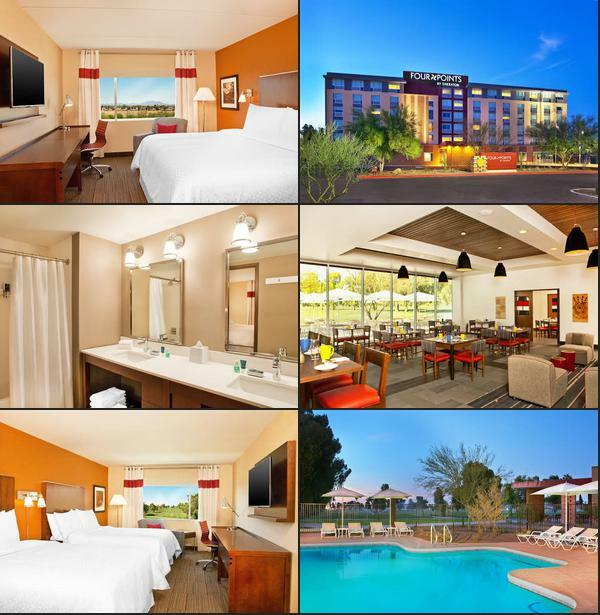 This modern hotel is 2 miles from both Phoenix-Mesa Gateway Airport and Arizona State University Polytechnic campus. The bright rooms come with flat-screen TVs and free Wi-Fi, as well as minifridges, microwaves and coffeemakers. Suites add sofabeds, and some have separate sitting areas. Parking is complimentary. Amenities include an informal coffee to cocktails bar, plus an outdoor pool, a hot tub and a fitness room. There’s also a business center and meeting space. Breakfast and airport shuttles are available for a fee. This relaxed, modern hotel is 6 miles from the Gilbert Historical Museum and 9 miles from the Phoenix-Mesa Gateway Airport. Straightforward rooms feature free Wi-Fi and flat-screen TVs with premium channels, plus work desks and coffeemakers. Suites add extra living space, pull-out sofas and balconies. Free perks include cooked breakfast (with a breakfast bag option on weekdays), parking and an airport shuttle. There’s also a heated outdoor pool and a hot tub, plus a fitness room, a business center and coin-operated laundry facilities. This laid-back hotel in southeast Mesa is a 9-minute walk from Toka Sticks Golf Club and 1.6 miles from Phoenix-Mesa Gateway Airport. Relaxed, modern rooms have free WiFi and bottled water, plus 42-inch flat-screen TVs, coffeemakers, and work areas with desks and ergonomic chairs. Upgraded rooms feature golf course views; suites add living areas. Amenities include a casual American restaurant and a bar serving craft beers, as well as a 24/7 fitness center and a heated outdoor pool. There’s also a business center and 3 meeting rooms, plus free parking and an airport/area shuttle.